CODA Cosmetics’ satin finish formula covers all that needs to be covered without the heavy look of makeup. CODA Cosmetics’ makeup line creator, JoAnn Fass, is a multi-media makeup artist with over 30 years of experience in the Beauty industry. 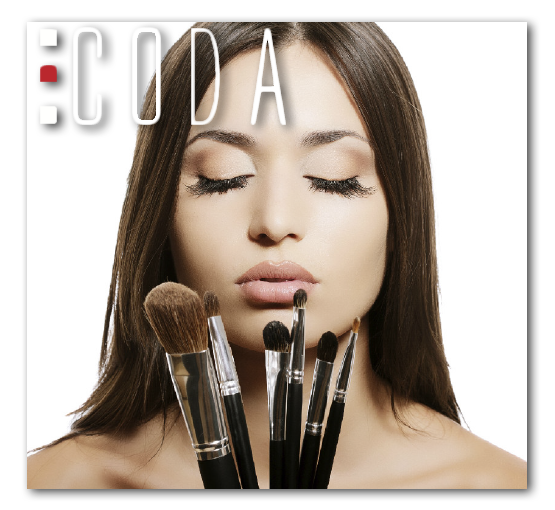 JoAnn Fass has dedicated CODA Cosmetics to making the art of makeup application easy and creative. JoAnn has also developed a training program to teach professionals and consumers an easy and fun way to apply makeup. The Coda Cosmetics’ High Definition makeup line covers a full line of makeup products with our foundation and mascara being our two most ultimate formulas. A description along with color samples of each product in the Coda Cosmetic product line can be found on the Products page of our website.